The most senior bureaucrats responsible for mental health services in Nova Scotia have admitted those services are lacking and some people are waiting too long for care. 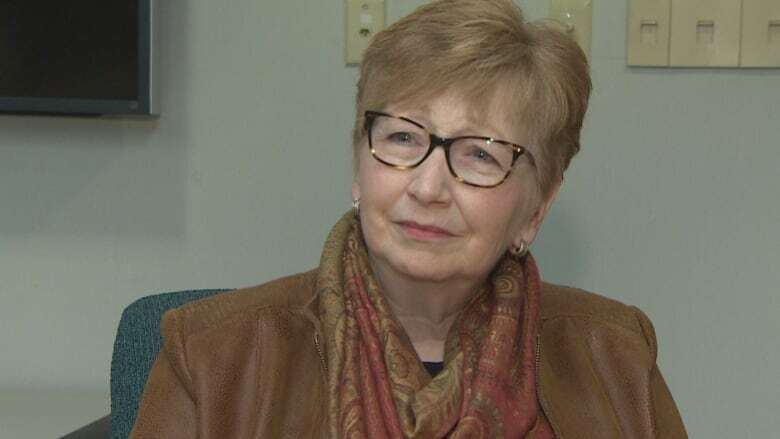 Senior health officials told politicians Wednesday that Nova Scotians are waiting too long for mental health care, but some solutions are still months, if not a year, away. Nine health officials were available for almost two hours to answer questions from politicians on Wednesday about the state of mental health services. Janet Knox, CEO of the Nova Scotia Health Authority, acknowledged the lack of timely care in her opening address to the public accounts committee. "We know some people and their families are waiting too long for the care and support they need, and sadly many people who need services are either not getting the help they need or may not ask for help at all because of the pervasive stigma and discrimination that continues to exist," she said in the legislative chamber. Seated nearby, Denise Perret, deputy minister of health, also noted the need to improve and expand care for those struggling with a mental illness. "We know that we have to create larger capacity in the public system to facilitate and enable better access for all Nova Scotians," she said. "This includes hiring more clinicians and putting in place effective navigational services." Work is underway to improve things, but some key initiatives are still at the information gathering stage. For example, officials are still trying to determine how many psychiatrists the province needs. The province is updating a physician resource plan that two years ago estimated the need at 132 specialists. According to Knox, the province is currently 22 psychiatrists short of that mark. "I can say to you … that we don't limit ourselves to numbers. We are listening to and recruiting people to come to Nova Scotia." Another problem is the many ways people seek care. Sam Hodder, senior director of mental health and addictions told the politicians one survey looking at possible service gaps identified dozens of ways people were trying to find the care they needed in New Glasgow, Cumberland County and Truro. To make things less confusing, the province wants to set up a single 1-800 number for people who need care to call. "Folks will be able to call up if they're in need of help, and they'll be able to speak a health professional [who will] conduct the clinical interview and then they'll be able to direct-book into an appointment if we have something that meets their needs," explained Hodder. The hope is that service will be up and running in about a year. The province is also looking at eliminating the inconsistency in how to register an appointment at a clinic. "I can tell you that when we did our environmental scan there was over 900 ways to register a patient within our system, so it's complicated," said Hodder. The lack of one standard approach has also made it difficult to record accurate wait times, according to Hodder. A solution is still in the works, but the plan is to record wait times for urgent cases and routine matters. Urgent cases should be seen within a week. Routine matters should be handled within a month. The Cape Breton region appears to be in the worst shape when it comes to long waits. "The standard for the 28 days is not being met in Cape Breton," Hodder said. "It varies between seven months and 10 months." Opposition politicians decry both the excessive wait times and the length of time it is taking the province to resolve the issue. "The new health authority has been up and running for well over three years. This delay is unacceptable," said former NDP health minister Dave Wilson. PC MLA Tim Houston said the health authority should be trying to figure out how to provide services to Nova Scotians. "After three years, the health authority is finally trying to come to grips with what the wait-lists look like across the province, and really, what they should be doing is focusing on a strategy."